Native Thyme (aka. Cut-leaf Mint Bush) is a type of native mint once used as a medicinal herb, but now more commonly features in cooking and herbal teas. It’s a highly aromatic shrub, rich in essential oils, giving off a minty aroma when crushed or rubbed. This shrubby plant is found throughout NSW along the coastline, in sheltered rainforest margins, beneath sclerophyll forest trees, and around the Central Tablelands. 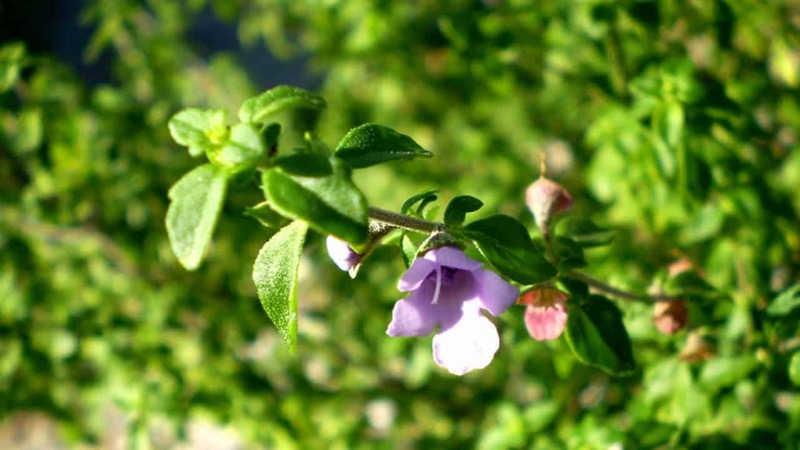 Native Thyme boasts a more complex flavour than Mentha mints. With hints of pepper and earthy tones, it makes a great flavoursome herb for chicken, fish, emu, roo and lamb dishes. Both the leaves and flowers have minty qualities, and may be steeped in hot water to make a herbal tisane. To harvest, just pluck fresh leaves off the growing plant, or prune whole stalks at a time. Both leaf and stem may be used — fresh, or chopped and dried for later use. Just remember the flavour will fade over time after harvesting. This species prefers warmth and moisture. Grow in full sun or part-shade, and water generously in Summer. Be sure to choose a freely draining soil, as Native Thyme is susceptible to root rot when waterlogged. Enjoy the attractive foliage of this evergreen shrub all year, with a burst of small purple flowers in Spring. This plant grows fast, reaching up to 2m tall and wide, thought it can be easily kept in a pot with regular pruning. It’s a great little shrub for gaps, hedges, screens, ornamental features or posies. Can I substitute normal thyme for Native Thyme? Yes! Just remember that Native Thyme has minty notes in addition to its herby flavour. 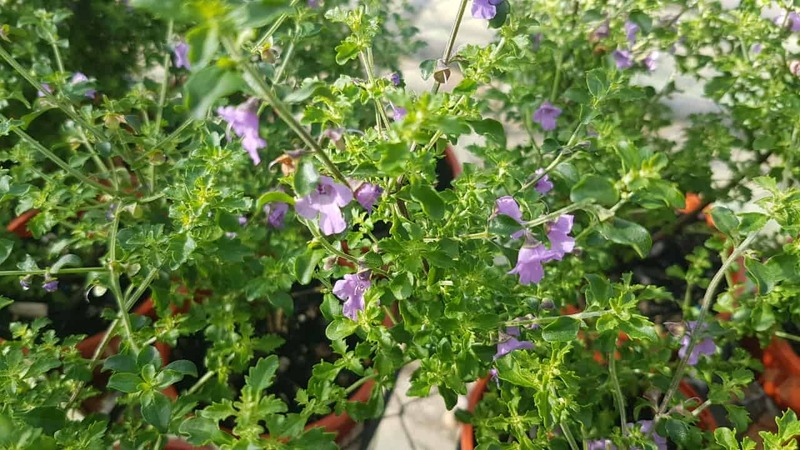 Should I fertilise my Native Thyme plant? Native mints don’t tend to need much fertiliser, but it never hurts to add organic matter to your active garden beds in early Spring. Is there an optimal time for pruning my Native Thyme? No, you can prune this plant any time of year. As this is a fast growing shrub, we recommend twice a year if you’re using Native Thyme as a hedge or a screen — this helps it maintain shape while encouraging bushier growth.